Kevin received his degree in Swine Management from Michigan State University, and while at MSU, worked at the Swine Teaching and Research Unit. Currently, Kevin is a seed advisor in central Michigan with Beck’s Hybrids and, in his spare time, an assistant wrestling coach at New Lothrop High School. 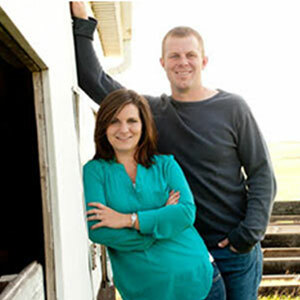 Kevin and Beth both have strong backgrounds in production agriculture. They are passionate about animal husbandry and are continually trying to improve themselves and their operation. Through trial and error, the couple has found what works and are always making changes to improve what they do from an efficiency and operations standpoint. 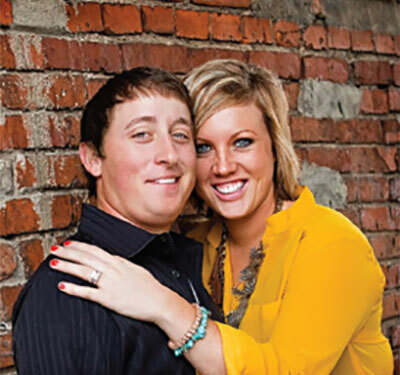 Like many who apply for the acHHieve program, Kevin and Beth are looking to learn how to more effectively market their operation and expand their client base. Kevin hopes to someday be able to manage their farm on a full-time basis and spend significantly more time focused on building True Vision Genetics. 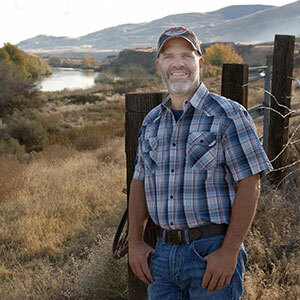 Robert O. Smasne, a 4th generation farmer, was born and raised in the agriculturally diverse Yakima Valley in the Eastern portion of Washington State. His passion for raising showpigs started at an early age and can be credited to his dad, who has actively raised showpigs for the past 50 years. Smasne first started raising hogs as part of his 4-H project and then recently got back into the industry once his kids started showing. His showpig operation, Smasne Show Pigs is a 10+ sow operation that focuses on developing elite females. Smasne produces both purebred and crossbred showpigs and currently sells all of his pigs through private treaty with a customer base he built on strong referrals and relationships. Smasne is no stranger to the hard work and dedication necessary to run a business as he has successfully chased his dreams in another industry. He is owner and operator of Smasne Cellars, named 2013 Washington Winery of the Year. Smasne crafts all of the wines for his label, and is also a highly sought-after winemaking consultant for many Washington wineries. Smasne feels the value of the AcHHeive program is far more than just getting to select from the Heimer Hampshire gilt pool. In addition to the possibilities this opportunity will provide for his operation, Smasne believes giving back is also extremely important, and he sees his involvement in the program as a way to help other breeders. My passion for the show pig industry started at the age of 5, the day my dad brought home my first market barrow. I am pretty sure this guy came straight out of a commercial barn, but this is where my love for the industry started. I learned very early in my showing career that hard work and dedication really can pay off. Washing, walking, and hand-feeding my pigs all summer made showing at the fair worthwhile. After a few years, my dad and I decided that we wanted to try raising our own show pigs. This opened up a whole new world. Yes, I had been exposed to show pig selection and how to manage a feed program, but selecting genetics was an entirely different animal. Since my years in 4-H, my passion for the industry has continued to grow. I have begun to slowly build my own sow herd and being very critical of the gilts I retain as I am trying to establish an elite sow herd where eventually all pigs in each litter are sellable. My current goal for the next year is to work to build strong, trustworthy relationships with new customers and gain repeat customers. I am also working to build a strong, valuable reputation in this industry. In the future, I would like to put boars in studs, win as many state and national shows as possible and be asked to donate a foundation female. I feel that this is a once in a life time opportunity to work with Jesse Heimer to better my herd. I want to learn, firsthand, about genetic selection, herd management, marketing, business strategy from one of the most successful show pig owners in the country. HH has worked hard over the past several years putting together some of the best genetics around and I am excited about the opportunity to be able to introduce those genetics into my operation. The offered are out of proven sow lines and I know that they will give me the push needed to take on the next level of achievements. Jesse Heimer owns the most impressive show pig operation in the county and I am honored to have his help and guidance to grow.